Jimmy was raised in a Christian family, he is a member of First Presbyterian Church of Demopolis, AL. 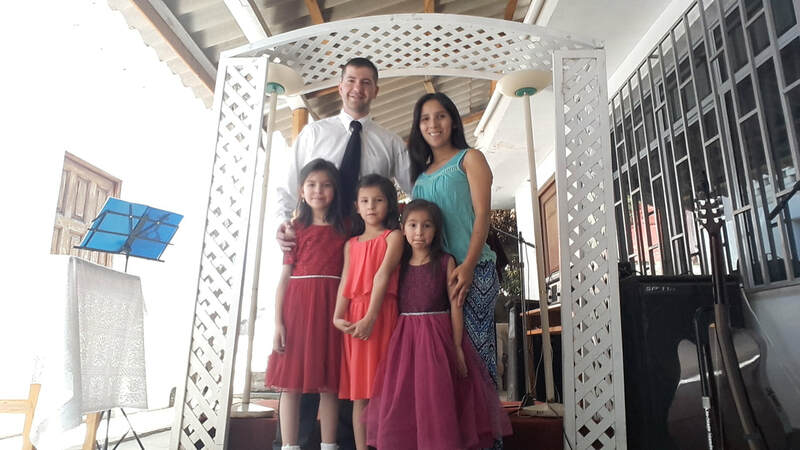 After many years of living a rebellious life, he participated in a mission’s trip to Peru where he met his wife and felt a real call to serve as a missionary. Nadia was born in Lima, Peru and moved to the mountains of Peru after her parents divorced. She received Jesus at the age of 17 and became involved in different ministries in her local church. She studied law for 6 years but decided to leave her career to pursue her calling to serve The Lord as a missionary in Peru. As a family they moved to Huanta, Peru in order to come alongside local Peruvians to help establish healthy churches and to bring the light of the Gospel to the unreached peoples of the Andes Mountains.